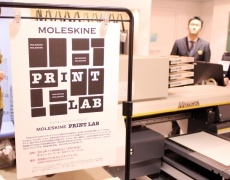 “Moleskine Atelier” in Loft Yurakucho in Tokyo. 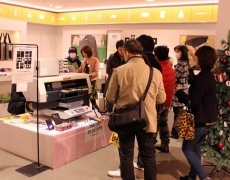 Attendees enjoyed printing their original design images or photos on the notebook with the UJF-3042HG. UJF-3042HG collaborates with MOLESKIN! 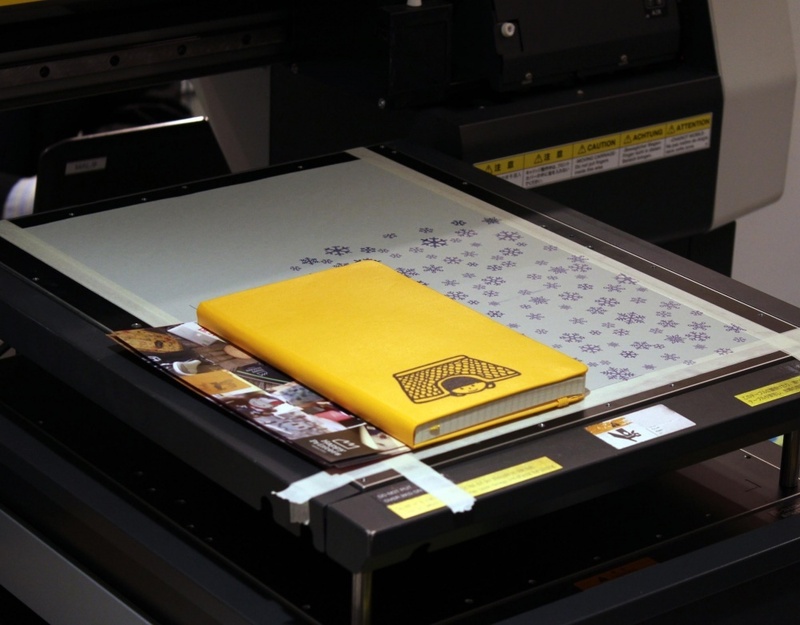 The print workshop was held to make the only custom MOLESKINE notebook in the world. The world-famous notebook brand MOLESKINE that had been used by Vincent van Gogh and Pablo Picasso. 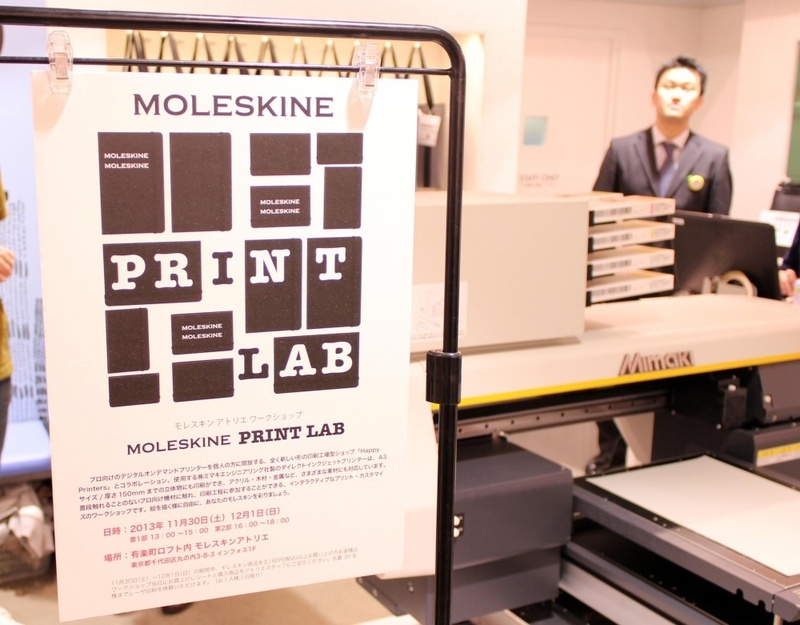 They opened the first “Moleskine Atelier” in Loft Yurakucho in Tokyo, to offer new product information to customers. The two-day workshop was held from November 30 to December 1, 2013. Attendees enjoyed printing their original design images or photos on the notebook with the UJF-3042HG. Note: The workshops were held for two days. Currently, no print service is available at Loft Yurakucho. 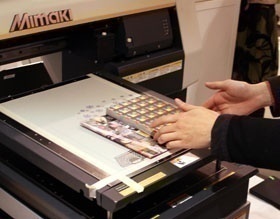 ① Downloading print data to the PC and adjusting the data. ② Positioning the notebook on the print table. ④ Finished! The print is already dry, and the notebook is ready to use right away. ● I am surprised by perfect print results—clearly better than I expected. Colors are vividly reproduced and detailed, jagged edges of figures show up clearly. ● I am glad to see clear, precise print results on thin lines of glasses frames. ● I found the design data in iStockphoto and processed it with IllustratorCC in 10 minutes. I am really happy to get a customized MOLESKIN. 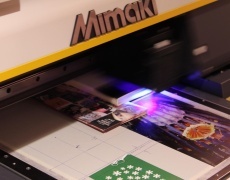 ● I think it’s really amazing that I can print my favorite pictures. In the past, to make a customized notebook, I have affixed a sticker that I printed the picture on. This MOLESKINE looks perfect. 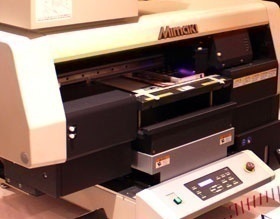 Plus, this is the first time I’ve seen an inkjet printer that can print on thick objects! The MOLESKINE has been used by renowned artists and thinkers, including Vincent van Gogh, Pablo Picasso, Ernest Miller Hemingway, and Bruce Charles Chatwin, over the past two centuries. 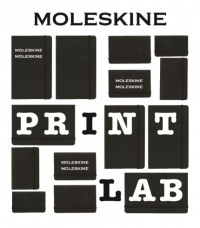 The MOLESKINE head office is based in Italy. In Japan, “Working Unit Japan” is an exclusive agency distributing the MOLESKINE. The MOLESKINE Atelier is a new shop offering information. 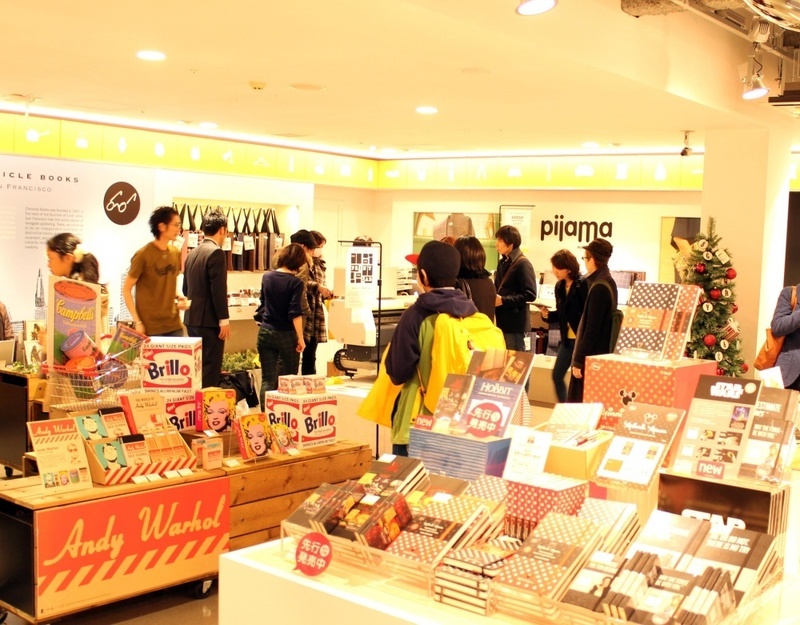 The shop has a wide range of MOLESKINE collections, including notebooks, diaries, writing, traveling, and other exclusive lines. 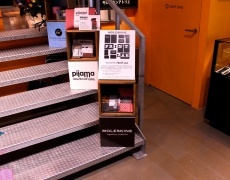 Furthermore, MOLESKINE Atelier not only carries extensive collections, but also offers customers presales. 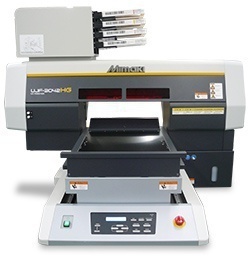 Visit the UJF-3042HG website for more detailed information.